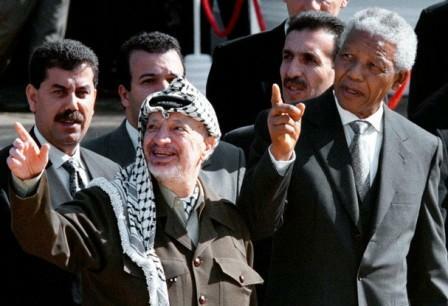 Notorious terrorist, war criminal and dyed-in-the-wool communist Nelson Mandela is dead. He was 95 years old. 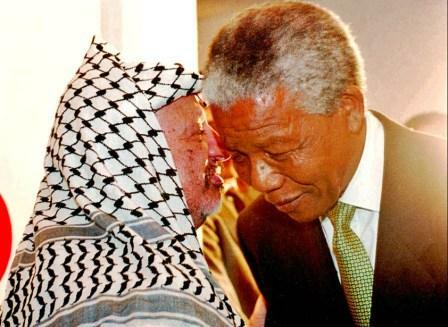 Now expect Western liberal media, global leftists and useful idiots to beatify this former South African president who once headed the terrorist wing (UmKhonto we Sizwe or MK) of the African National Congress (ANC) and South African Communist Party. 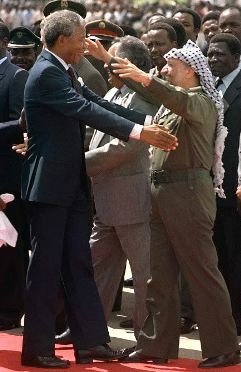 Tyrannical dictator and leader of a terror, theocratic regime Bashar Assad also praised Mandela as a “hero” and “an inspiration in the values of love and human brotherhood”. “His history of struggle has become an inspiration to all the vulnerable peoples of the world, in the expectation that oppressors and aggressors will learn the lesson that in the end it is they who are the losers,” the Syrian dictator said. 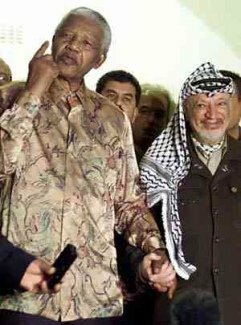 As expected, terrorist organizations like Hamas paid tribute to the South African terrorist and mass murderer saying he was one of the most important symbols of freedom in the world. 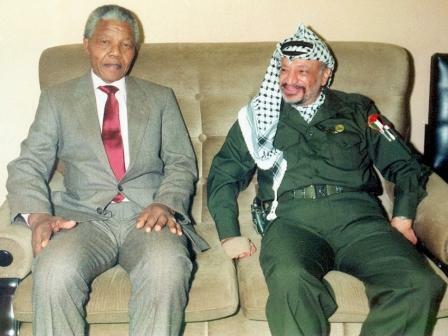 Mousa Abu Marzouk, a member of Hamas political bureau said “Mandela was one of the main supporters of the Palestinian cause and his case is very similar to the Palestine question. 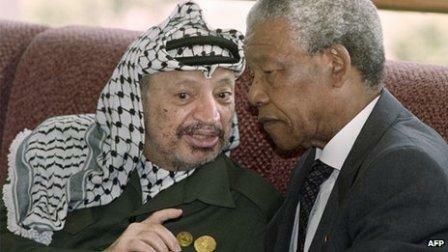 Mandela spent all of his youth in prison to be freed when his people gained their freedom”. 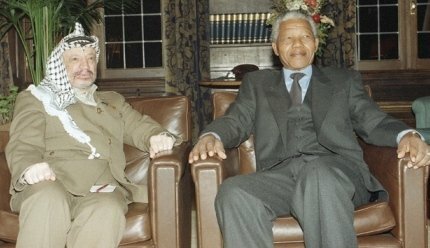 Let me be clear that while Mandela was absolutely right in fighting racism and apartheid in South Africa, he was absolutely wrong in embracing communism and resorting to terrorism. By carrying out acts of terrorism (e.g., bombing civilians in public places, torturing innocent people, necklacing, etc. 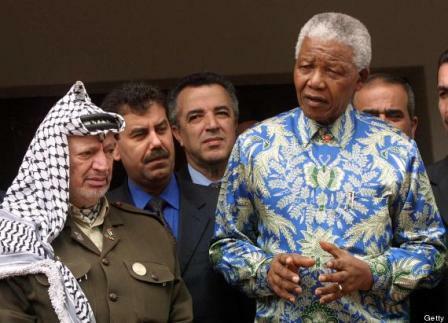 ), Mandela and his comrades were as guilty as South Africa’s apartheid regime. Mandela can be simply likened to communist Bolshevism that replaced Russia’s last monarchy with Marxist-Leninism monarchism– or to Mao Tse Tung’s communist revolutionary movement that replaced China’s imperial dynasty with Marxist-Maoist political dynasty– or to Kim Il-sung who replaced part of Korea’s monarchy with his one-man, cult-of-personality socialist kingdom. 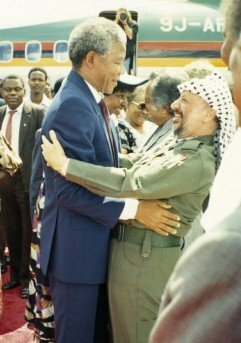 Mandela was an anti-white racist: Kill the Whites! The youtube video below shows Mandela singing “Kill the Ama the Bhulu” with a number of communist White supporters. In the Black SA language known as Xhosa, the term “Bhulu” refers to the Whites. 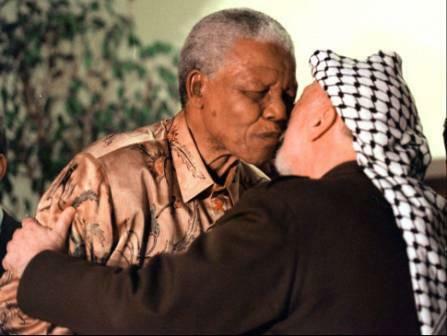 Mandela was as bigoted and murderously irrational as the White Supremacists of his time. Fact: Mandela was imprisoned not because he peacefully fought apartheid in South Africa the way Philippines’ Jose Rizal fought the Spanish friars. He was jailed for 27 years because of his terror activities and crimes. In fact, he pleaded guilty to a total of 156 acts of public violence, including mobilising terrorist bombing campaigns. He uttered those words while he also praised communist and theocratic dictators who oppressed their own people. Try to compare socialist Cuba to its pre-Castro era. Fidel Castro was a tyrant and was guilty of crimes against humanity, political violence and oppression, corruption, etc. Translation: The end justifies the means. 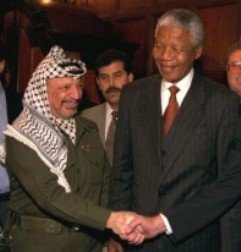 It’s OK to spill blood and kill innocent people as long as we achieve the destruction of apartheid. So, why did the ruthless, mass murderous Soviet regime– and all the socialist experiments– fall and collapse? In effect, China’s Maoism collapsed after Deng Xiaoping’s second revolution that embraced certain aspects of capitalism. He wrote an essay entitled How to be a good communist? Mandela’s essay proves that communism is nothing but an elitist political country club. Now that makes me think communism is nothing but a sociopathic, anti-reason political CULT! 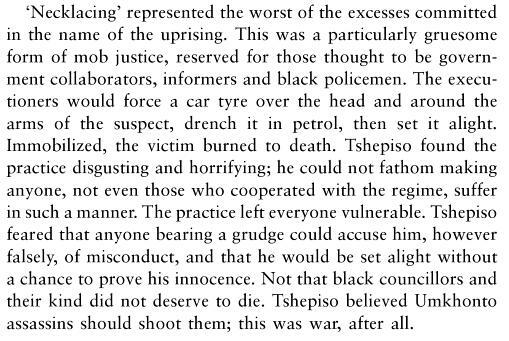 According to the Truth and Reconciliation Commission, the first victim of this gruesome mob justice practice was a young girl named Maki Skosana, who was suspected of being a police informer because she attended the funeral of a friend. The victim’s sister Evelyn Moloko told the committee that Maki was publicly executed on suspicion of her involvement in a handgrenade explosion in which a number of young people were killed in 1985. 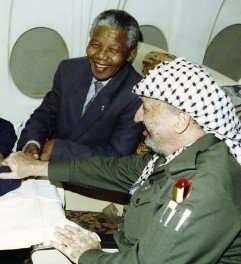 Mandela is the latest real-world proof– still the living proof– that the leftists and communists blissfully yet stupidly live in a fantasy world. 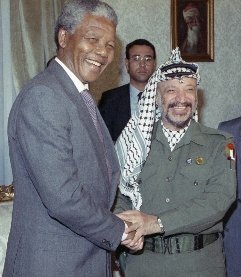 It is wrong to fight evil by becoming evil or more evil than the devil (apartheid) itself. In the youtube video below, Mandela’s long-time communist comrade in the ANC and the SACP and current president of South Africa, Jacob Zuma, sings “Kill the Boer” (translation: “kill the white farmer”). The thing is, these commie Black Supremacists do not just seek to carryout an anti-White genocide; they’re also determined to include people of other races or ethnicity, such as Indians, Chinese and Asians, in their racially inspired communist agenda. 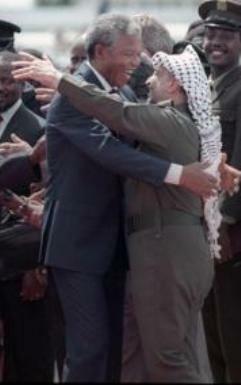 I don’t care if Mandela was a commie, I’d still choose him over apartheid. Oh, and BTW: Your conservative US counterpart, the Republicans, loved apartheid South Africa so much, they blacklisted the ANC.